Day 3 Yangon - Mandalay Visit to Mahamuni Pagoda, Kyauktawgyi Pagoda a large Buddha image carved out of a single block of marble, Shwenandaw Monastery, Kuthodaw Pagoda..
Day 9 Bagan - Sight-seeing More time visiting Bagan Temples with Lawkananda Pagoda; East and West Phet Leik with clay plaque Jataka scenes; Thatbyinnyu Temple; Shwegugyi Temple; Palace site and Tharaba Gate..
Day 11 Inle Lake - Indein Visit to Indein, ancient pagodas, Shan Cheroot making..
After breakfast, morning sightseeing starting with World famous Shwedagon Pagoda, Karaweik Hall Royal barge on the Royal lake for photo stop, Yangon’s city center featuring Sule Pagoda and colonial building. 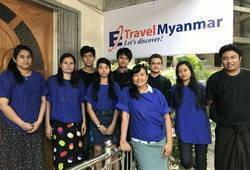 Evening free for leisure and overnight at hotel in Yangon. After breakfast at hotel, transfer to airport for Mandalay, Up on arrive Mandalay and check in to hotel and Mandalay full day sightseeing; visit to Mahamuni Pagoda, Kyauktawgyi Pagoda a large Buddha image carved out of a single block of marble, Shwenandaw Monastery (Golden Palace) noted for its exquisite wood carving, Kuthodaw Pagoda known as the world’s Biggest Book for its stone slabs of Buddhist scriptures. 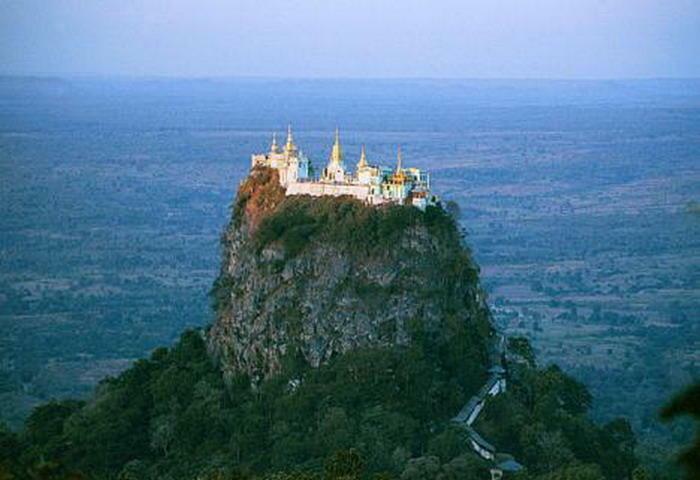 Mandalay Palace and in the afternoon to observe the Gold leaf beating, Stone carving, Wood carving and Tapestry and an enjoy the sunset from Mandalay Hill. Overnight at hotel in Mandalay. After breakfast at hotel, Proceed to Amapura visit to Mahagandayon Monastery, observe Myanmar Traditional Hand-Woven silk workshop, visit to Mahagandayon Monastery, enjoy beautiful scenery at U Bein Bridge. 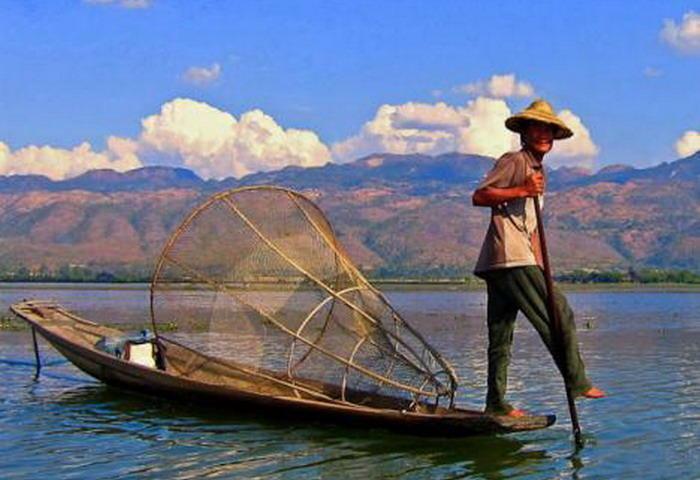 In the afternoon depart from Mandalay on a private boat along the Ayeyarwaddy River to visit Mingun, a village on the west bank of the river. Visit to Mingun Pahtotawgyi, the world renowned ringing Mingun Bell and beautiful Myatheintan Pagoda. enjoy sunset by boat in beautiful scenery at Ayeyarwaddy River. 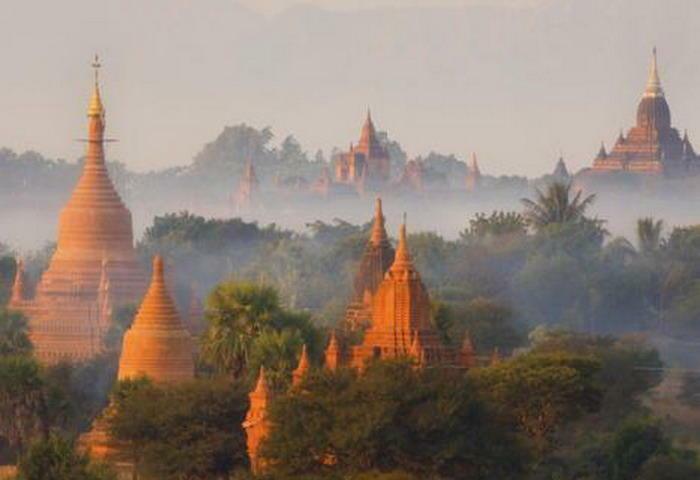 Drive back to Mandalay and overnight..
After breakfast at hotel, Bagan sightseeing includes; the colorful Nyaung U Market, Shwezigon Pagoda and its magnificent golden sputa, Htilominlo Temple noted for its fine plaster carvings and glazed sand stone decoration. Visit to Myinkaba Village to observe the process of Traditional Lacquarware Industry one of Myanmar’s best-known handicrafts. In the evening visit to Ananda Temple, an architectural masterpiece of the early-style temple with four impressive standing Buddha images. 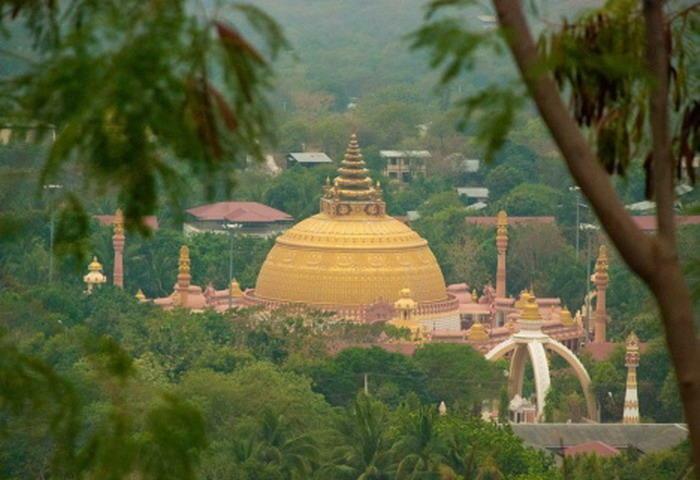 Enjoy sunset over the site from the upper terrace of Shwesandaw Pagoda. Overnight at hotel in Bagan. After breakfast at hotel, second day of Bagan sightseeing start with Lawkananda Pagoda; East and West Phet Leik with clay plaque Jataka scenes; Thatbyinnyu Temple; Shwegugyi Temple; Palace site and Tharaba Gate. Tour includes Apeyadana Temple with the paintings of Mahayana concept; Nagayon Temple; Archaeological Museum; Dhamayangyi Temple, a massive Temple with finest brick work and Mingalar Zedi, Bu Paya to watch sunset over the Ayeyarwaddy River. Overnight at hotel in Bagan. After breakfast at hotel, transfer to airport for flight to Heho. 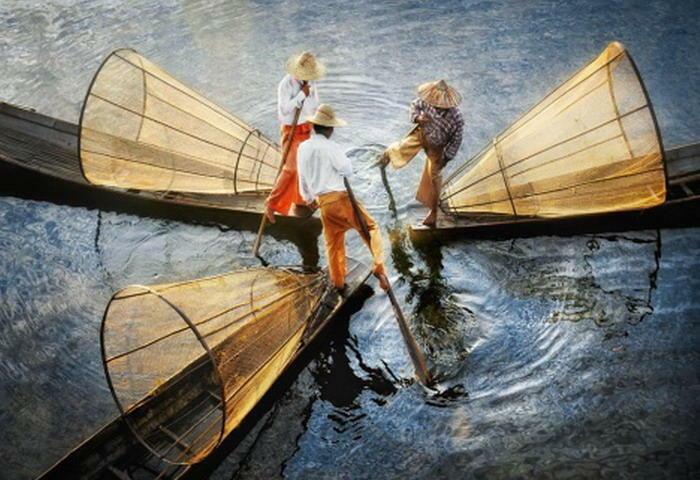 Proceed to Inle Lake. Visiting Phaung Daw Oo Pagoda, Floating Gardens, Unique Leg-rowers, Traditional Fishing Method Stilt House Villages on the lake and Nge Pe Chaung (Jamping Cat) Monastery. Overnight at hotel in Inle Lake. .
After breakfast at hotel, Visit to Indein, ancient pagodas, Shan Cheroot making, free for leisure in Inle Lake. Overnight in Inle Lake..
After breakfast at hotel, transfer to Heho Airport for flight to Yangon. Arrive Yangon and transfer to hotel. Free at leisure. 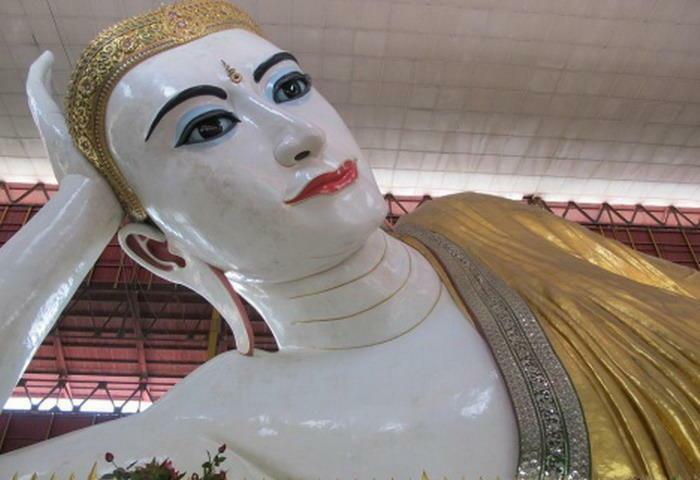 Overnight at hotel in Yangon..
After breakfast at hotel, Day return sightseeing trip to Bago. Visit to Kyaikpon four seated Buddha Images. Kyakhatwine Monastery, where a thousand of monks who take their last meal of the day at 10 am in total silence, Kanbawza Thardi Palace built by King Bayinnaung, Kalayani Sima (Ordination Hall), Shwemawdaw Pagoda, Shwethalyaung Pagoda, the world’s most beautiful reclining Buddha, Wood Carving Industry and Bago local Market. Visit enroute World War II Allied War Grave Cemetery near Taukkyant. Drive back to Yangon. Overnight at hotel in Yangon. After breakfast at hotel, you will be transferred to Yangon International airport for your return international departure flight. Tour ends..